Around the world Canadians are thought to be polite, happy-go-lucky and generous. When people hear you are from Canada, they seem to treat you the same way we would treat them. 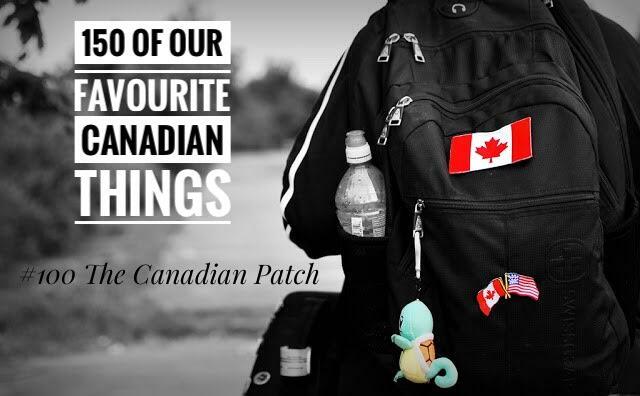 For Canadian travellers backpacking through Europe, Asia or Australia, there is a simple way to tell the world they are Canadian before someone even asks: the proverbial Canadian flag patch embroidered onto their packs. A simple concept that demonstrates national pride, but more importantly, also symbolizes that you may be one of those polite Canadians looking for generosity in return. It’s something people around the world have come to expect from Canadians. The origin of the popularity of the Canadian patch seems to go back to the 70’s when the Vietnam War turned many against our neighbours to the south. Wanting to ensure we weren’t compared to our dangerous neighbours, backpacking baby boomers started wearing the Maple Leaf on their luggage and it caught on. Even though there have been cases of Americans wearing the Canadian flags themselves, maybe we should drop the idea of sporting a flag altogether. I mean, isn’t the point of travelling is to learn new influences and experience life and culture? It’s not like you’re gonna start singing O Canada and take a swig from a bottle of maple syrup. So start a conversation with a local, break the ice by telling them you are Canadian and you consider yourself lucky to be from one of the best countries on earth.